This is a wonderful article on a young lady who truly has a wonderful outlook on life. She is really making a difference in the world at such a young age. We are so proud of you, Destinee! PS: Check out her video, below. We want to applaud our young College student, Destenie Nock. She is an engineering student, volunteering in East Africa. The partnership of Thomas Nock and Herbert Kirby began in November 1894. 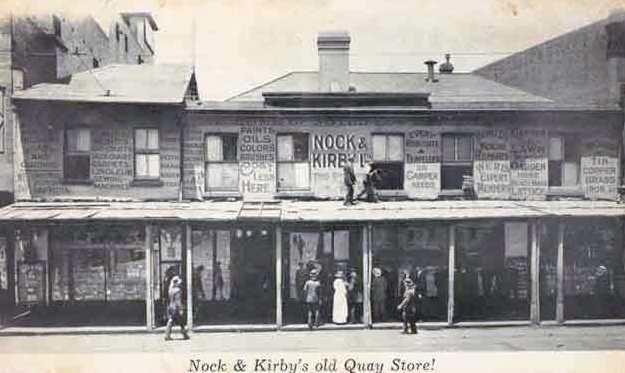 The original Nock & Kirby store was at Circular Quay, before the business expanded and moved to new premises at 417 George Street, Sydney. By the 1950s, Nock & Kirby’s had become a household name in New South Wales. The shop sold everything from pots and pans to clothing, as well as hardware and gardening equipment. The company traded until 1983, when it was taken over by Burns Philp & Co and renamed BBC Hardware. Bunnings (Wesfarmers) bought the BBC Hardware chain in 2001. 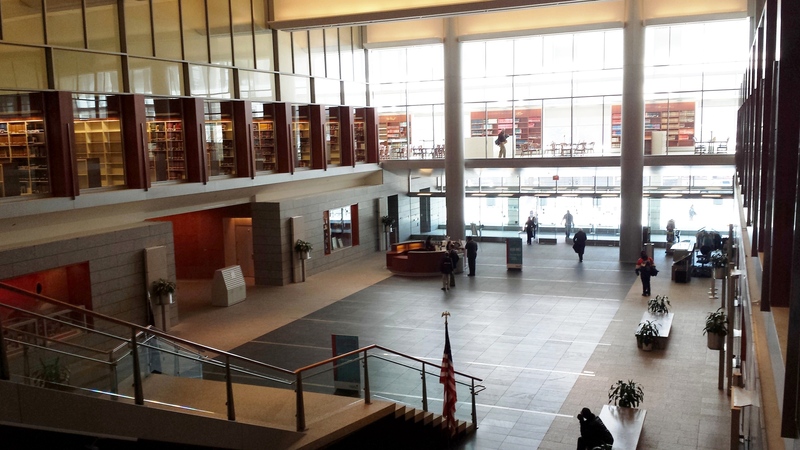 I mentioned earlier that I’d be visiting the Library of Virginia. Well, my youngest daughter and I did visit a couple of days ago. We had a very informative visit. First, let’s talk a bit about what the Library is. 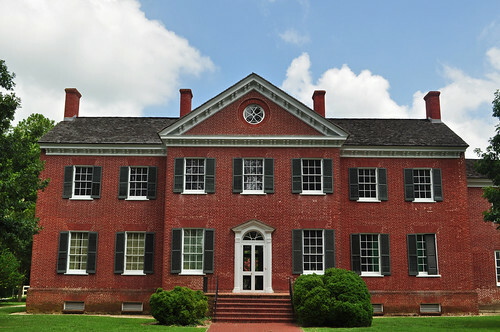 Formally founded by the Virginia General Assembly in 1823, the Library of Virginia organizes, cares for, and manages the state’s collection of books and official records, many of which date back to the early colonial period. It houses what is believed to be the most comprehensive collection of materials on Virginia government, history, and culture available anywhere. 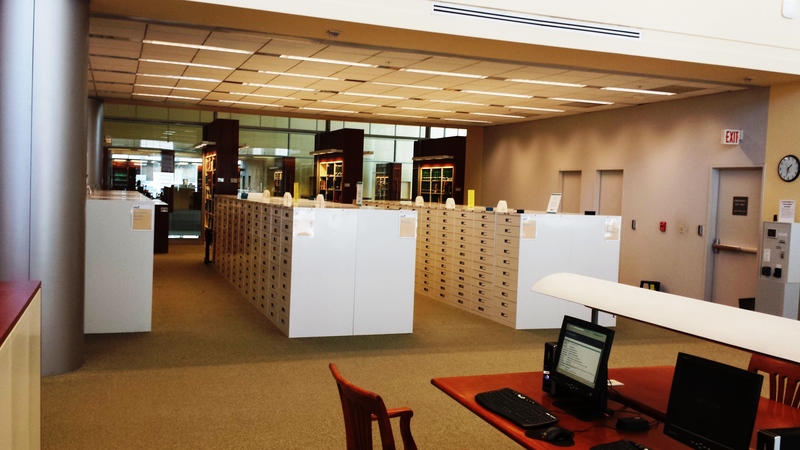 Its research collections contain more than 808,500 bound volumes; 678,790 public documents; 410,330 microforms, including 45,684 reels of microfilmed newspapers; 308,900 photographs and other pictorial materials; 101.8 million manuscript items and records; and several hundred thousand prints, broadsides, and newspapers. This of course, includes the birth and death records of most citizens of the the State of Virginia. 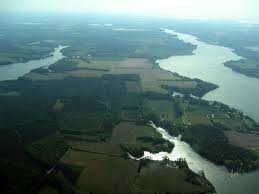 Like most Nocks in the U.S., my family roots go back to Accomack County, Virginia. 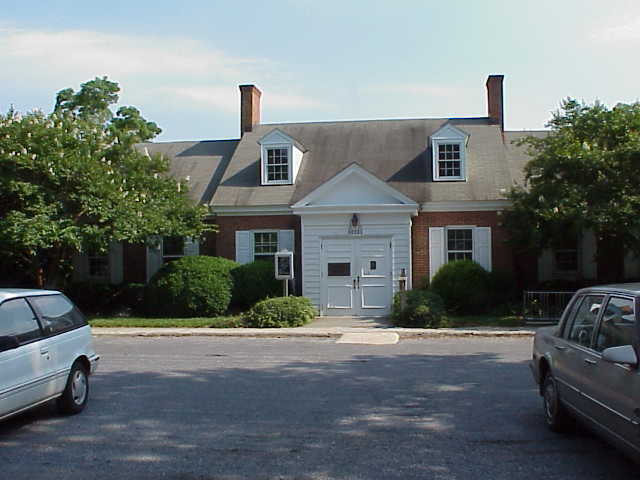 Over the last few years I’ve been able to gather quite a bit of information from Courthouse records in Accomack County. Because more comprehensive records are at the Library of Virginia, I knew that a visit to Richmond would be necessary. My focus was on birth and death records. 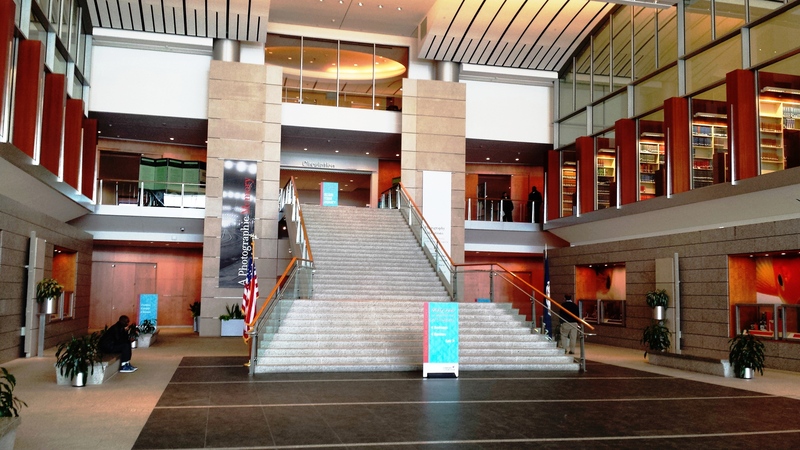 To be honest with you, upon entering the building, my daughter and I both felt a bit overwhelmed. There is so much information there, that it was hard to know where to begin. 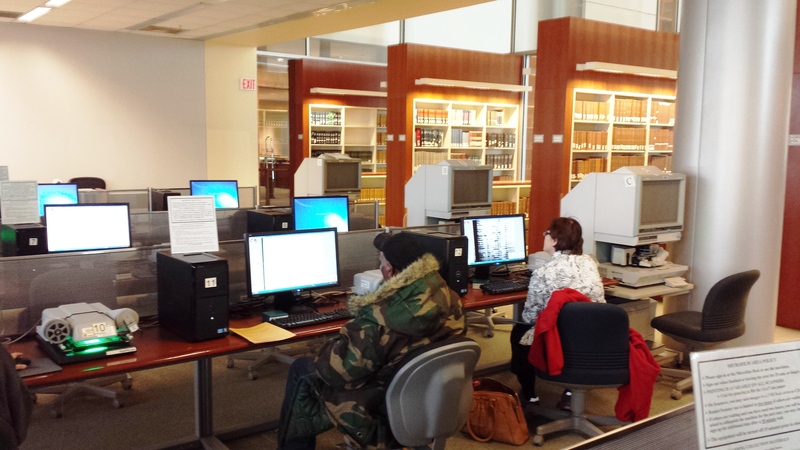 Fortunately, the Genealogists and staffers there were super helpful. They were very eager and willing to help everyone, even if it meant walking people through documents, step by step. 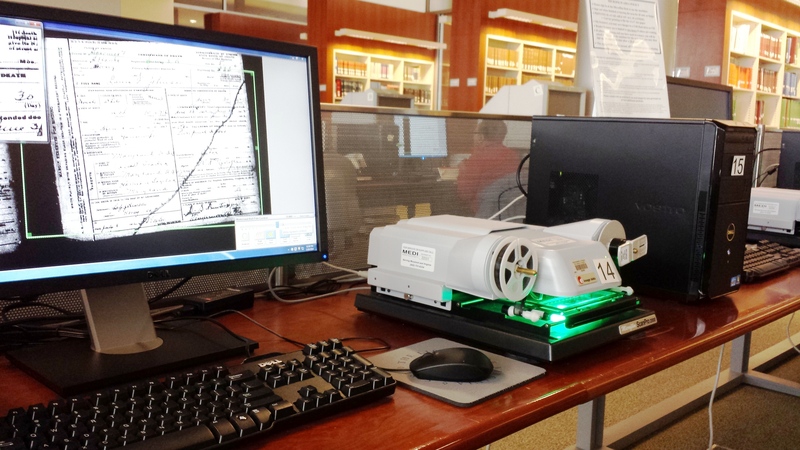 By the time we left, we felt quite comfortable scanning through different documents and files. 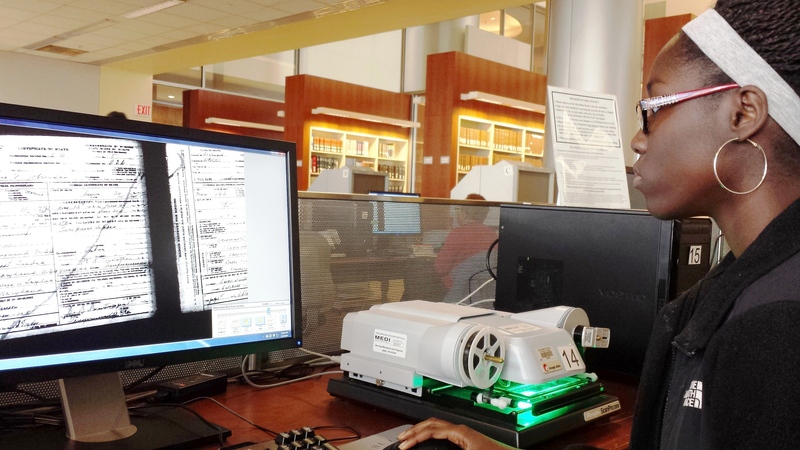 Our biggest challenge was the same challenge that most African-Americans have when researching family history. Information is somewhat sketchy, especially when you go as far back as the slave period. We did find information on some of our enslaved relatives, but we also knew that we’ll need to make multiple visits to the Library of Virginia. Someone recently asked me if family research is really that important. I told her that I feel very strongly that it is. I once heard a fella say, ‘’if one doesn’t know their history, you are like a tree without roots’’. So much of who we are as people, has been predetermined by others in our past. 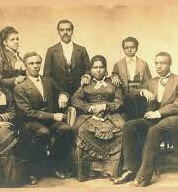 I speak of those ancestors, upon whose shoulders we now stand. The people who dared to get on a boat and travel to an unknown land, looking for a better life. Those who were brought here against their will on a slave ship, as my ancestors were. They endured so much, yet they survived, so that I, and my children can be here, today. In my opinion, these people deserve our respect and honor. When I visited a cemetery in Accomack County, Virginia and saw some of my ancestors dating back almost two hundred years, I was touched like I’d never been touched before. I owe much to those people, and they deserve my respect.